Want a fun way to kill daily boring time with your friends and family? 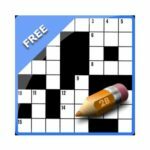 Do you like word finding games? Are you puzzled to choose your next holiday destination? 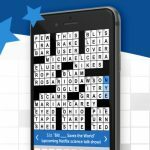 Word Town is the ultimate crossword game with addictive landscapes. Well-designed puzzle themes train your brain and sharpen your mind. Each city-destination is separated into unique day trips to the area. 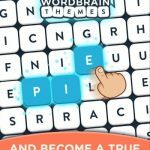 There are 2000+ mind challenging levels to test your spelling, boost your vocabulary and fress your eyes. Word Town is simple and easy! Just swipe up, down, left and right to connect letters and make words. Every puzzle has a challenging theme, including toys, love, fashion, education, games and so many others. The magnifying glass at the bottom can give you a clue of what you’re looking for. If this is not enough, you can always shuffle the letters by hitting the button next to the magnifying glass. And if you’re still stuck, don’t worry. We’re here to help you. We’ve already found the answers for you. And, of course, we’re sure that you’ll love the game and find the next destination for your summer holiday! Below you can check out our compilation of Word Town answers, cheats and solutions. UPDATE: In case you are interested in the World Town daily challenge answers, then be sure to head over to our dedicated article for a complete list of answers. Need help with Word Town answers? Select a town to find them!